Tim and Carol inside the showroom. 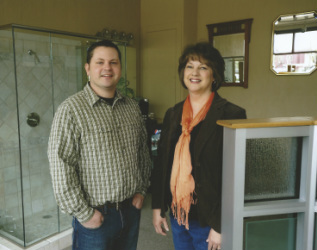 First Glass was established by Steve and Carol Cramer in 1981 when they determined there was a huge need for a mid-sized glass company that could care for the glass needs of the residents of Knox County. Little did they know that the need was greater than they realized. To the surprise of our competitors, First Glass quickly grew into what it is today by simply providing excellent service, incredible quality, with good old fashioned customer care. Today, in addition to Knox, we service Warren, Mercer, Henderson, McDonough, Fulton, Peoria, Stark, Henry and Rock Island Counties with our fleet of glass technicians. And, with experience owning shops in Dubuque and Bettendorf, we still get to the Iowa side of the river to service new and existing customers. 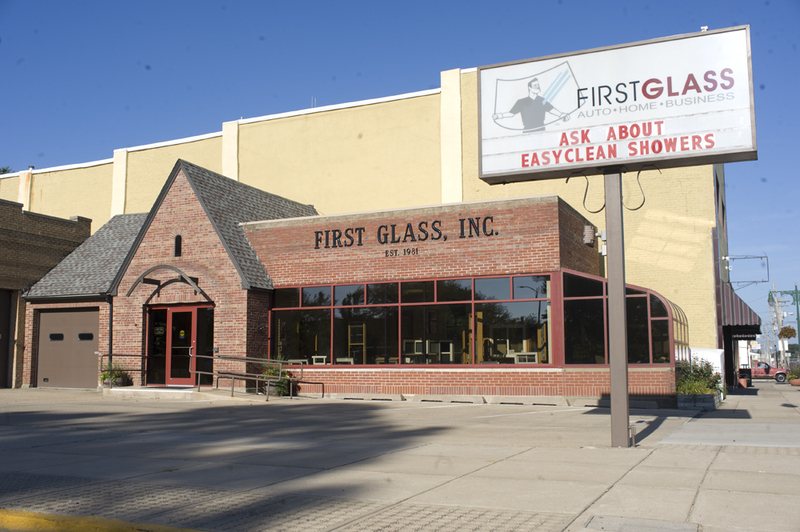 In addition to our convient Galesburg location on the Public Square, we also have an "Express" location in Monmouth that we use to schedule automotive glass replacement appointments. As we look to the future, we've never been more excited about the economic climate of our service area. The Glass industry nationwide has undergone significant changes over the past 15 years. Changes to the insurance agreements, established glass manufactures and suppliers have exited the market allowing new companies into the supply chain, and the list goes on and on. But, as the dust settles we're proud to be a glass company that has endured that season and believe we've become stronger, leaner and better than ever before.